It might be based on Crusader era style, but there is no denying that these Bohemond Greaves look remarkably dwarvish, as well. Either way, these greaves are great to wear, thanks to their handsome appeal and protective strength. Perhaps it is the overall design that gives them a dwarvish sort of appeal, as the squared plates and grid pattern do seem to factor in to dwarf design a great deal. 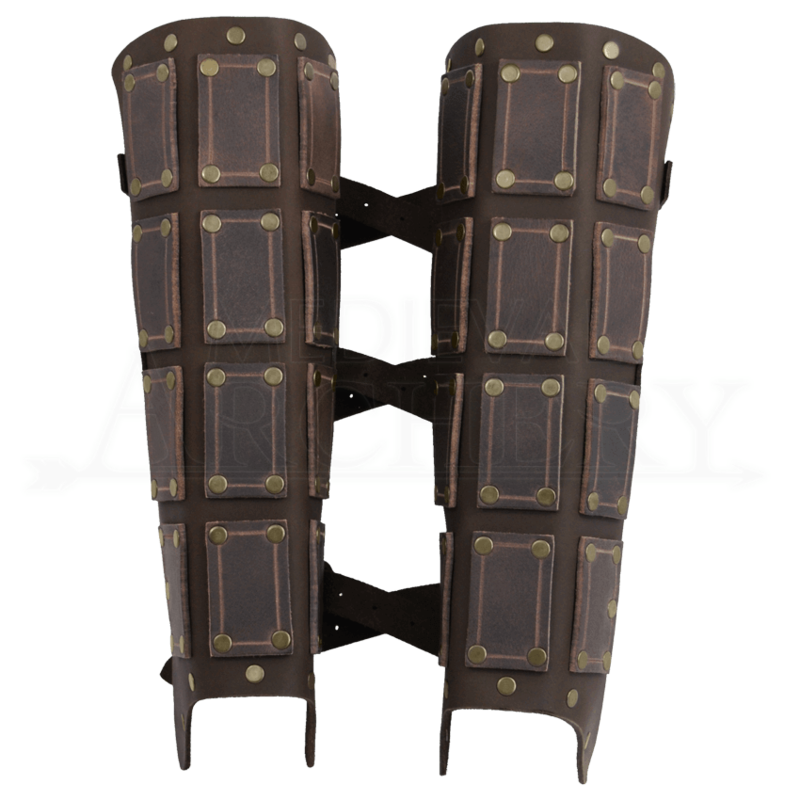 These greaves are made entirely from two weights of leather, which helps to not only make them supple and flexible, but also rather sturdy, too. The base layer, which wraps the lower leg, is made from 3-4 oz. buffalo leather, while the stiff square leather plates that provide the majority of protection are crafted from rigid 9-10 oz. buffalo leather. The greaves are offered in one size only, but are available in either black or brown colors. They are also highly adjustable, being worn via leather straps and buckles that wrap around the back of the leg. Leg protection is handy to have in a fight, whether it is a real battle, a mock conflict, or a LARP incursion, and these Bohemond Leather Greaves are sure to provide a warrior with greater personal protection, while also infusing some intriguing style into their look, too.